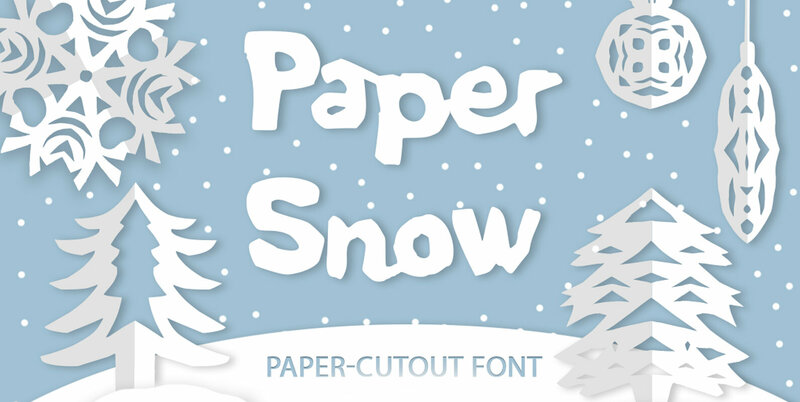 Paper snow is a playful cutout font. All letters, symbols and decorative winter elements were cut from actual paper & then carefully digitized. It has beautiful handmade texture full set of lowercase and uppercase letters and 63! ligatures to make your texts truly unique. Paper Snow font comes with PUA Unicode that gives you full access to the ligatures in software that doesn't support the extra characters. To access these characters you can use Font Book (Mac) or Character Map (Windows).